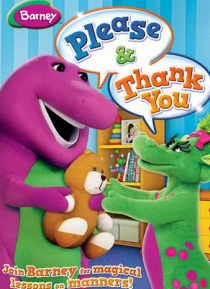 Join Barney & Friends as they learn the importance of being kind and courteous to others. When Baby Bop forgets to say "please" and "thank you", Barney realizes it's time for a lesson on how magic words can make other people feel good inside. As Baby Bop daydreams about a world without good manners, she realizes that being polite is not only important but it's easy to do after all.